Breakfast with Phineas Meere (The Boldness) and Larrissa MacFarlane, chatting on the the meaning on International Day of People with a Disability, the flaws in our social security systems and the prevention of violence against disabled people, with special guests Naomi Chainey, Nicole Lee and Kirsten Deane. Nicole Smith turns to Jax Jacki Brown and Elvira Tarrant for agony-aunt-style advice on becoming a parent with disability. Raphael Kaleb (The Boldness) talks with Eva Sifis, founder of By Accident, and Angus Thompson, star of The Angus Project premiering December 4 on ABC. Border Stories is a new podcast, a partnership between Writers Victoria's Write-ability Program and VALiD (Victorian Advocacy League for Indivudual's with Disability), featuring stories told by people living with disabilities. 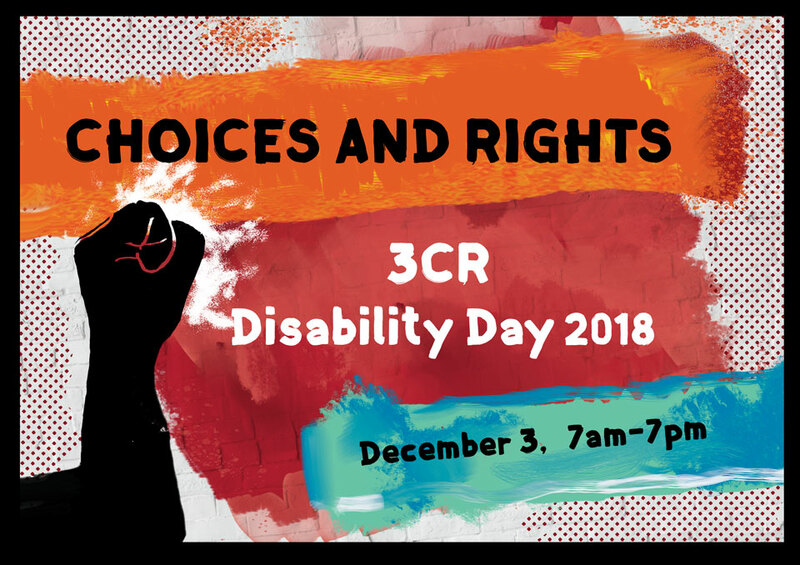 A special preview of the series is featured on 3CR for International Day of People with a Disability. Stella, Rosie and Claudia talk/vent about access from a youth perspective. Naomi Chainey chats to the cast of the Fringe Festival's Not Normal. Tune in for entertainment, enlightenment, performance, controversy and gasbaggery from a diverse and glittering panel of some of Victoria's best female disability performers, speakers and writers, with Claire Barnier, Sonia Marcon and Gem Mahadeo. Marisa Sposaro (Doin' Time) broadcasts on the empowering topic of the lived experience of blindness and vision impairment, which can never be taken away. She discusses the Disability Discrimination Act, and Audio Description for blind and vision impaired theatre goers.